Update May 12, 2012…Annie has gotten her Senior Hunter title including the Water Test. Nov 2012 – Planned breeding Jan 2013 w/ Ch Iverness Odin – see Puppies Spring 2013 page for more information! 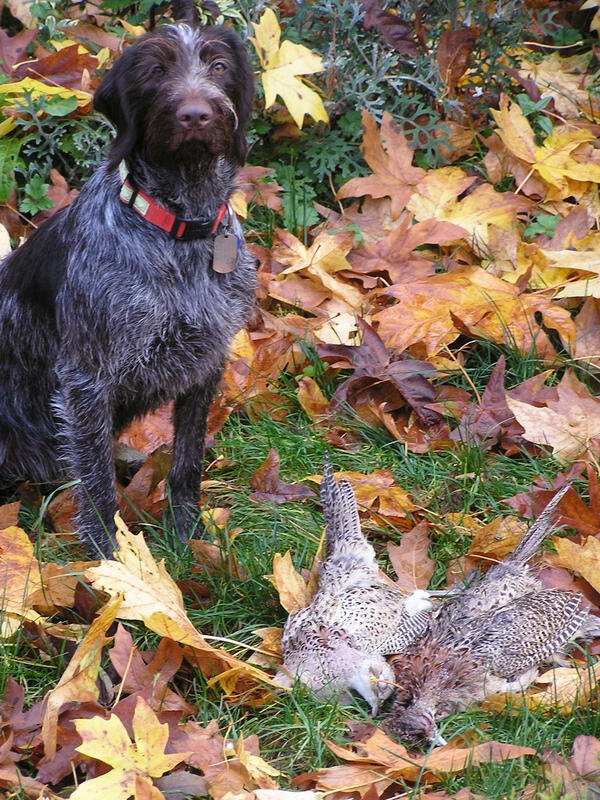 In early 2008, we began our search and found that the German Wirehair Pointers were not a common breed in the Pacific Northwest. By luck or fate, we found Tova Kennels in Hammond, Oregon. Eva Wiseman, breeder and kennel owner, had puppies available from the breeding of her female, CH Ayla VD Sonnenberg with CH Larkspurs Windmill Winston, JH. We spent hours there…meeting, watching, playing with all the puppies…and finally picked out our first German Wirehair Pointer, a 16 week old female who we called…Annie. Only later did we realize how truly lucky we were. We had no real idea what we were looking for in the breed, hadn’t research the sire or dam, but Eva’s pups were all excellent dogs and I don’t think we could have picked a “bad” one from the bunch. Most have since gone on to get championships and hunt titles. So, some ask us, with all these good puppies to choose from …why Annie? What can I say? We connected. There were other dogs there that were faster, more intense on the wings and more aggressive at retrieving, but Annie just connected with us in some special way. We didn’t know it that day, but we’d picked out one of those rare, once in a lifetime dogs…the kind that you measure all others dogs against going forward…and marvel that this one is yours. We worked hard on being good puppy owners. Basic obedience and working toward developing her into a good hunting companion. We did “wing on a string” games with her and taught her basic whoa, kennel and here commands as well as the indoor obedience commands of sit, down, off and kennel. She was a natural retriever and LOVED the water. 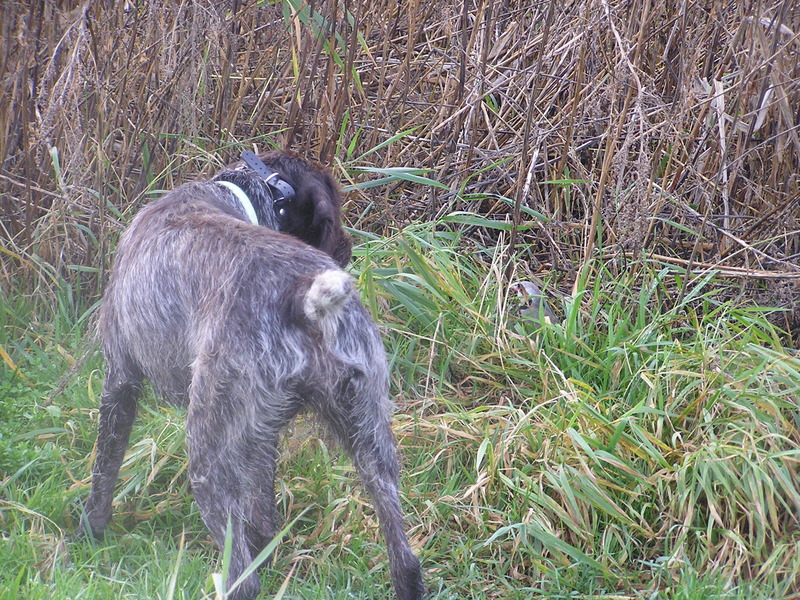 Not having trained a hunting dog before, we reached out to a local trainer we had met a local Sportsman Show. He had years of experience and a well deserved excellent reputation. Pat Murphy of Northwest Performance Dogs, Monroe, WA helped us move from rookie hunting dog trainers to having an incredible field dog and quickly qualifying her for the AKC Junior Hunter title and now the Senior Hunter title (May 2012). But Annie had come from background of not just good hunting stock, but also championship confirmation bloodlines. Under the mentoring of Eva Wiseman, her breeder, and with the help and expertise of professional handler, Robert Perry, Aspendel German Wirehair Pointers, http://aspendelgwp.com/, Annie got her AKC Champion title for confirmation in January 2010. We have been so very pleased with her and she continues to improve as she matures. 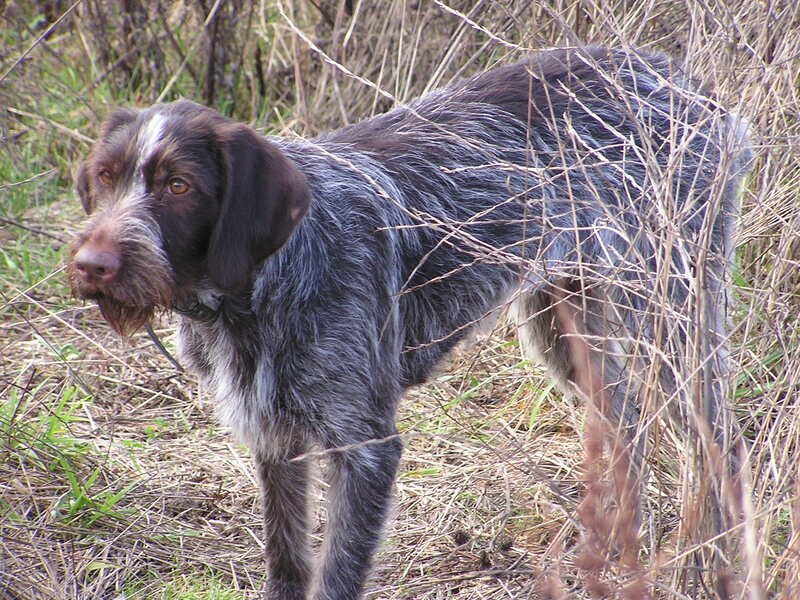 She has gotten her Senior Hunter Title as of May 2012 and is now working on her Master Title. We are also planning to breed her in response to the many requests for one of her offspring and are accepting deposits for her upcoming litter. We are anticipating a breeding in winter 2012 for placement in Spring 2013.